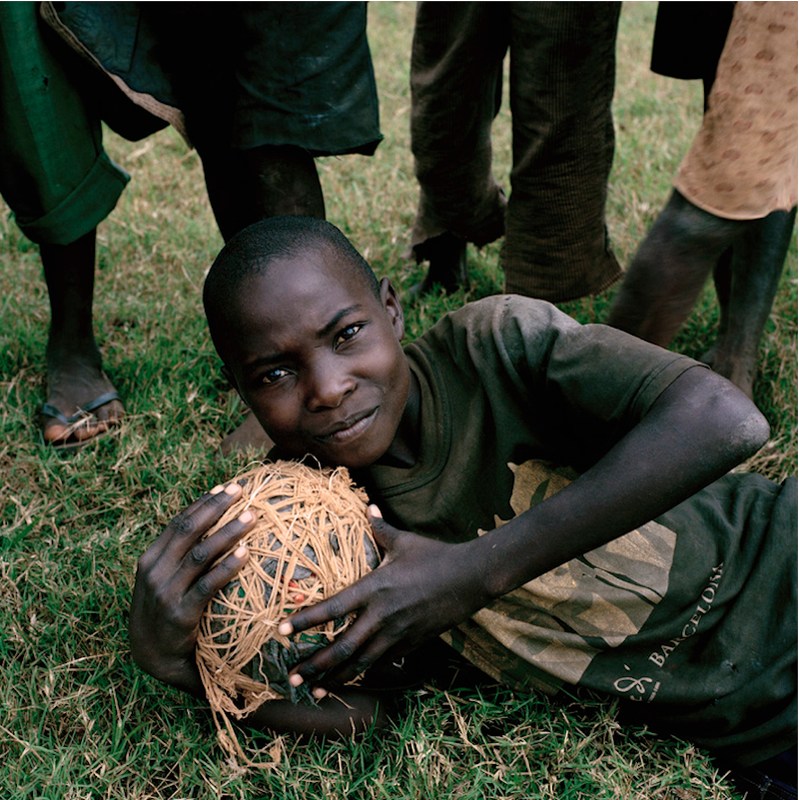 While waiting at a my doctor's office yesterday I started flipping through February's National Geographic Magazine. 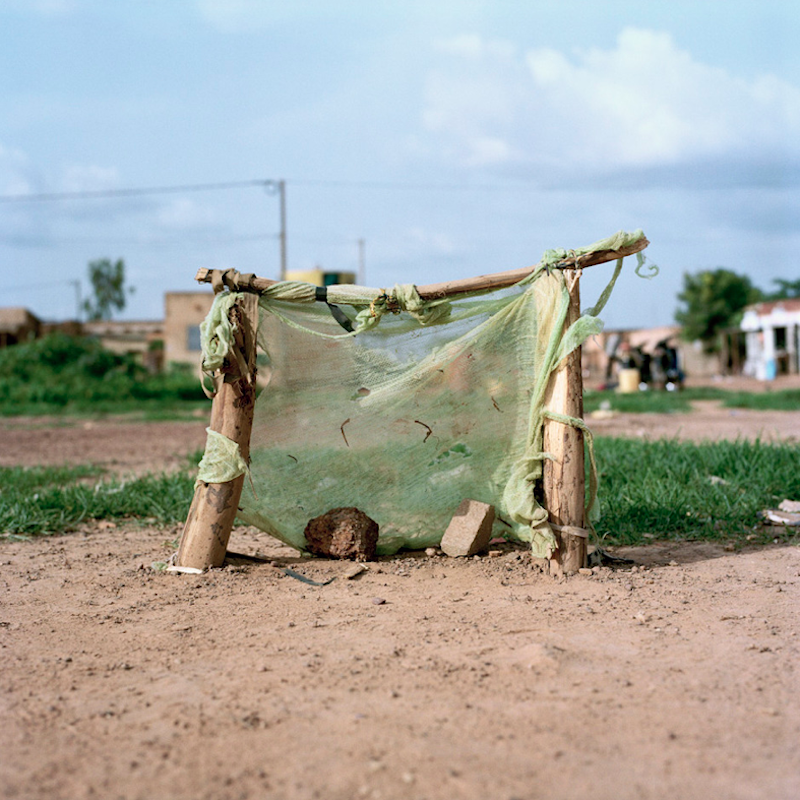 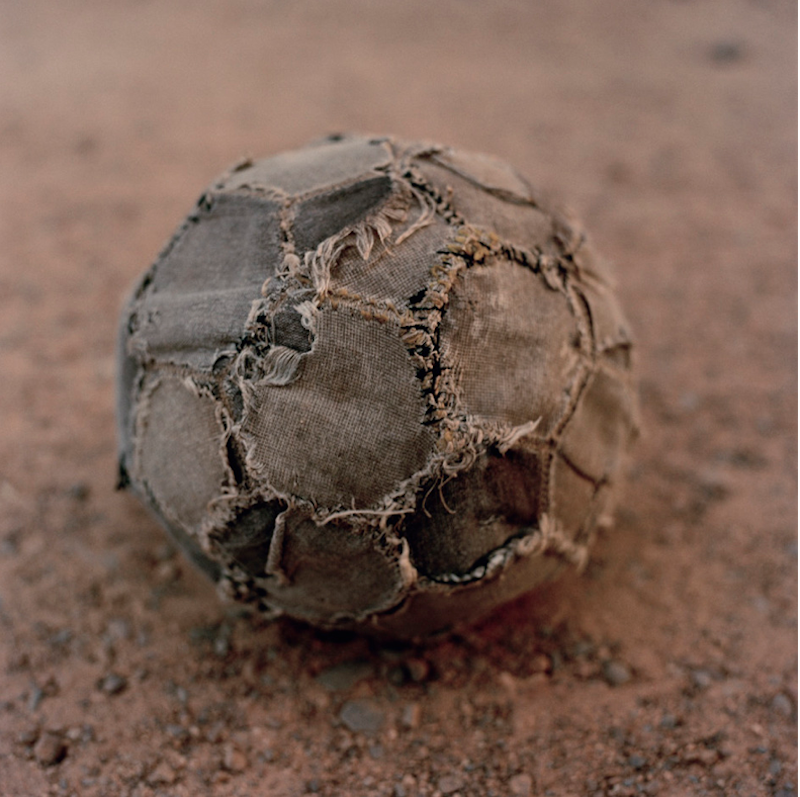 Inside was an amazing article about Belgian photographer Jessica Hilltout's documentation of soccer in rural Africa. 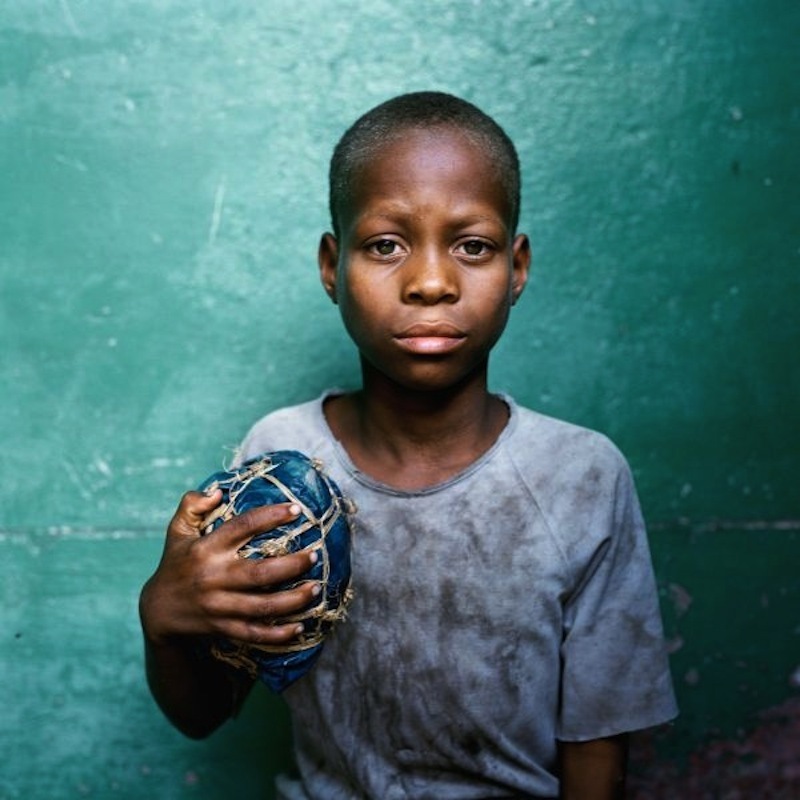 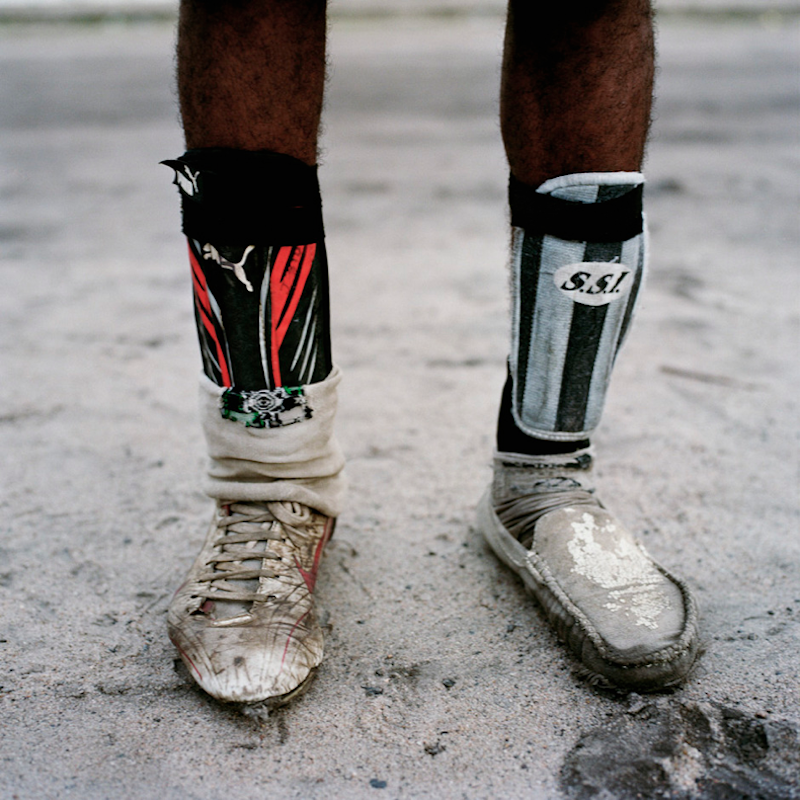 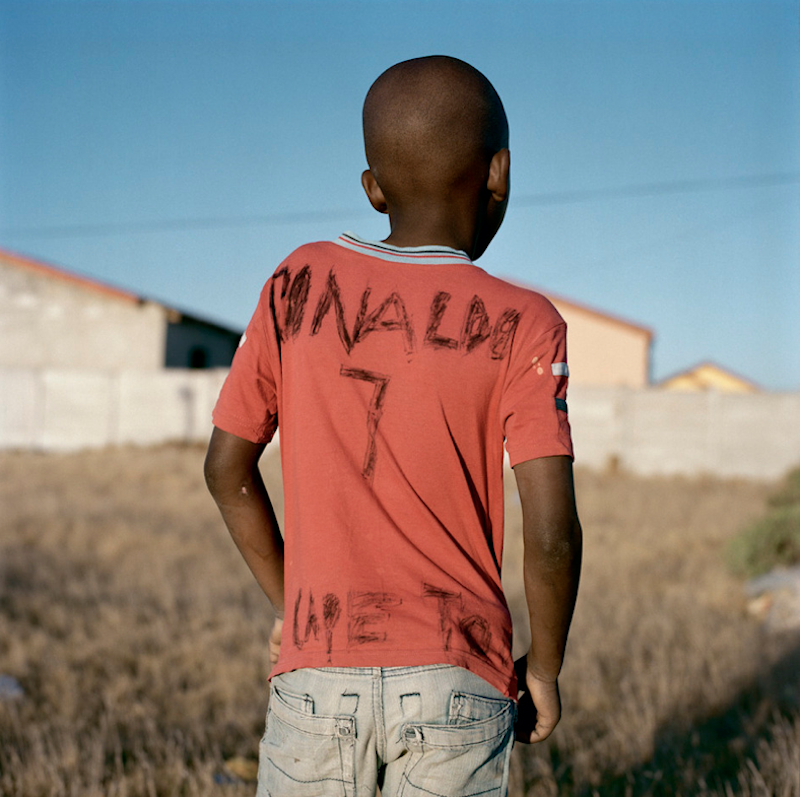 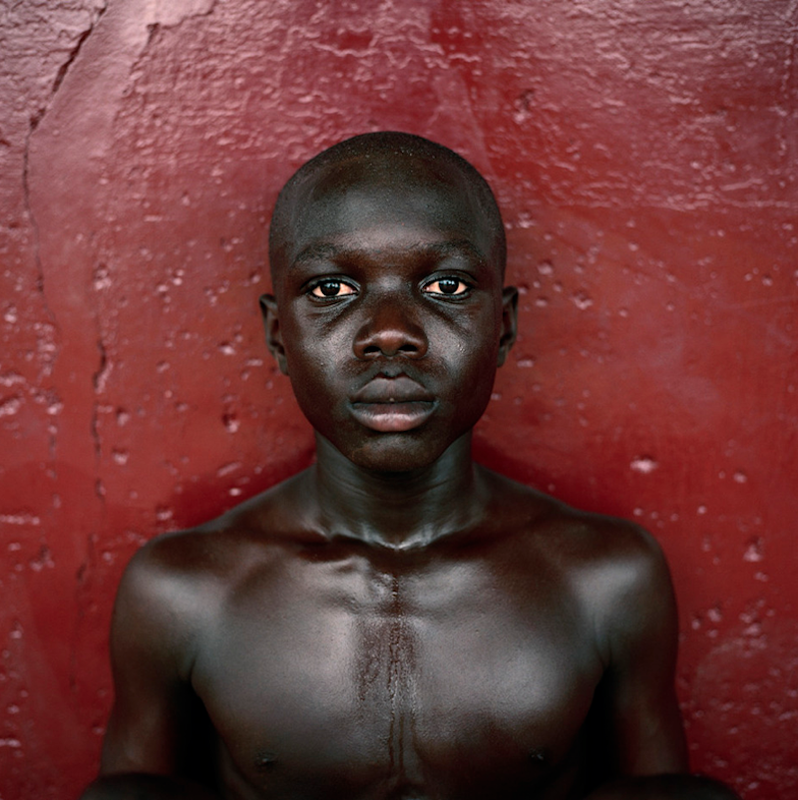 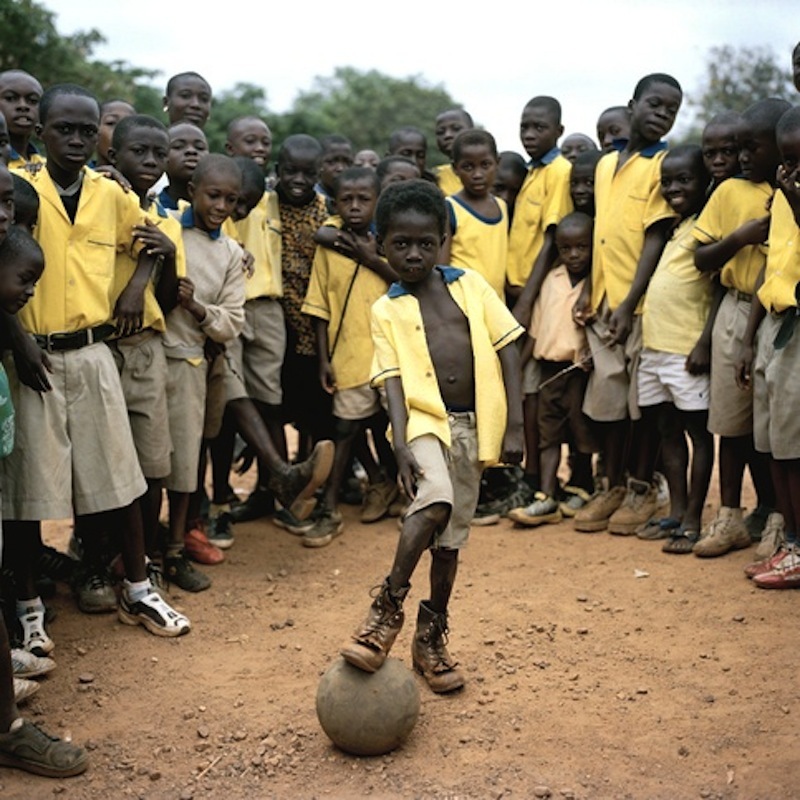 "In 2010, when the World Cup came to Africa for the first time, the Belgium-based photographer set out to see what soccer looked like far from the bright lights and big stadiums. 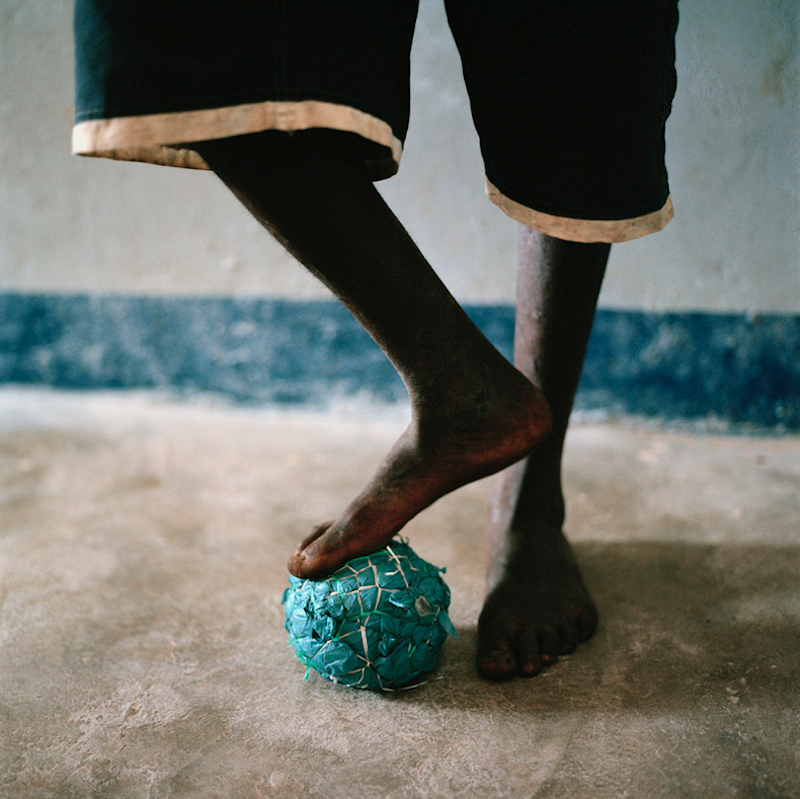 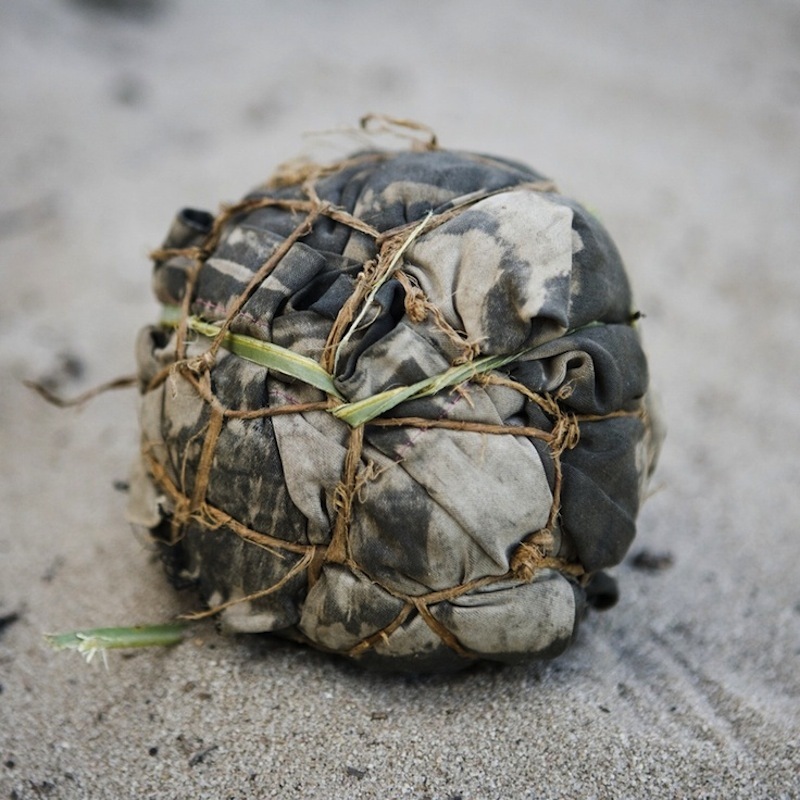 What she found—over seven months, ten countries, and 12,500 miles—was a grassroots game where passion trumped poverty, a do-it-yourself ethic prospered, and one ball could “bring happiness to an entire village.”"
As Jessica traveled from village to village, she would offer store-bought soccer balls in exchange for the balls the children had created from rags, socks, tires, bark, plastic bags, rubber, string and anything else they could spin together. 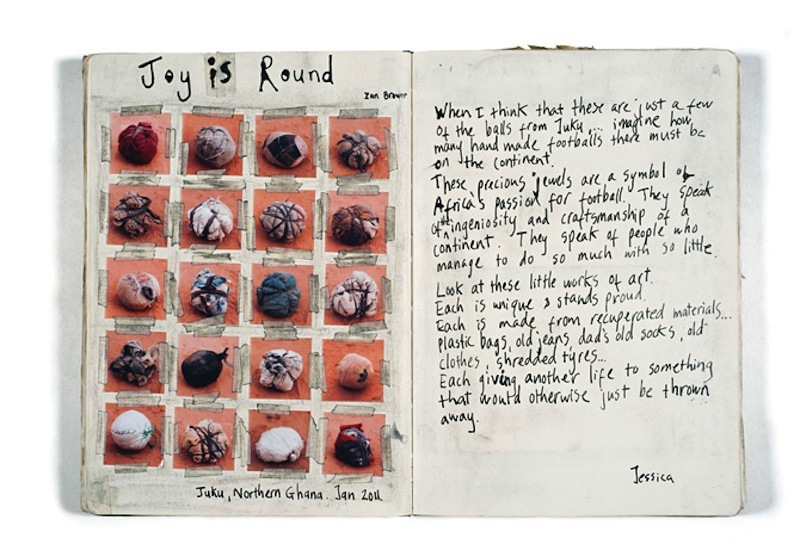 wow, thanks for posting this:) so beautiful!